Best product award of SEMA 2011. 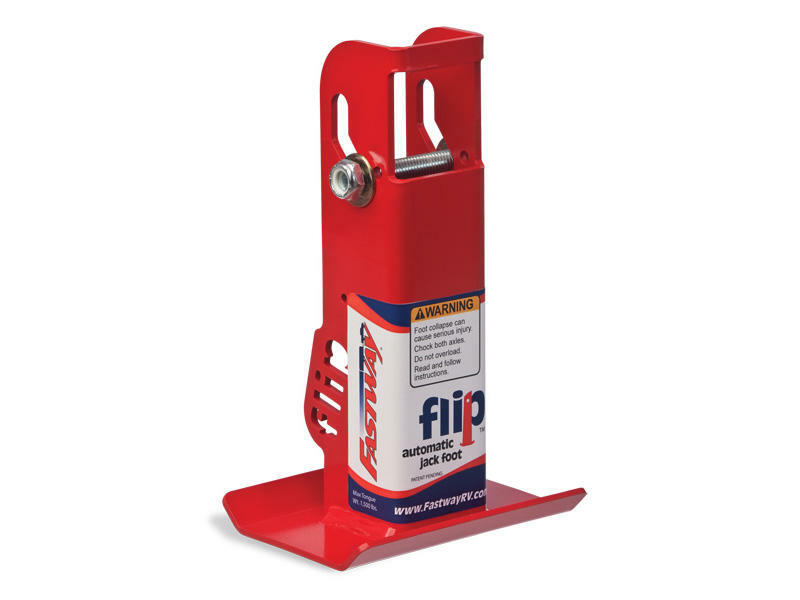 The Fastway Flip Automatic folding jack foot. Fits 2" diameter inner jack tubes and adds six inches of jack length. The foot automatically deploys as the jack is lowered and retracts when raised. Jack tube must be drilled to install this product. No more kneeling over to deal with wood blocks! No more pins or clips to mess with!